Every year I create some sort of back to school gift for my children to give to their new teachers on the first day of school. 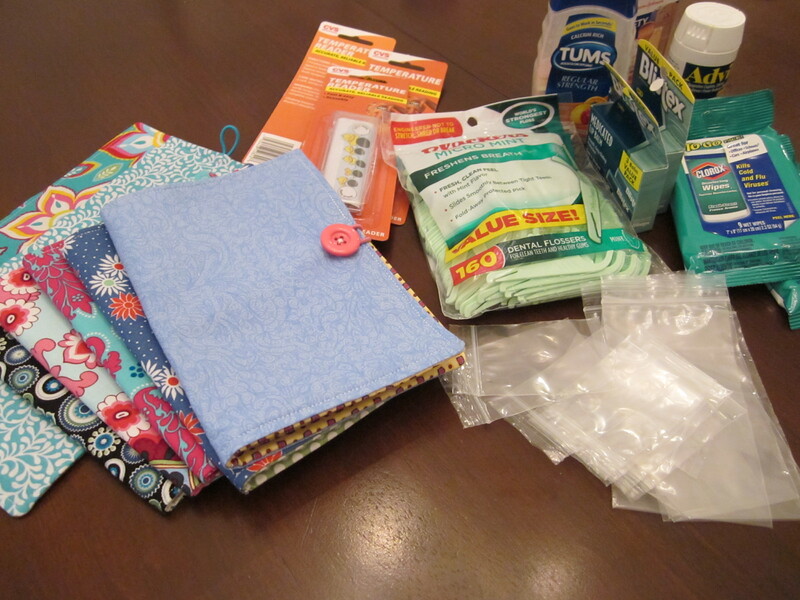 For the past 3 years it has been a variation on an emergency kit for the teacher. In case you missed my memo from the past few years, teachers are trapped in the school building until every last student is out the door at the end of the day. There are no quick trips to the grocery store or the gas station for an aspirin or a Coke. If teachers do not bring essentials with them and have a secret stash in the classroom, they are out of luck until the end of the day. 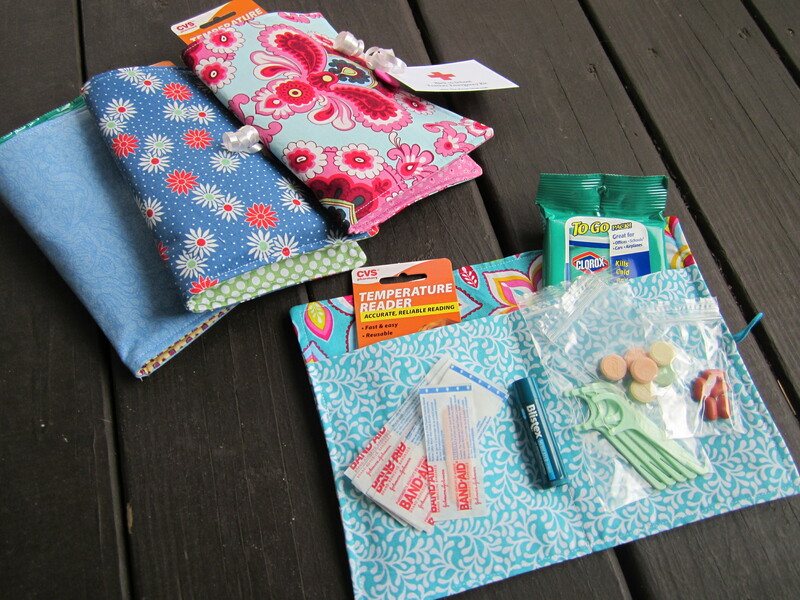 Giving an emergency kit to a teacher is a thoughtful gift idea. 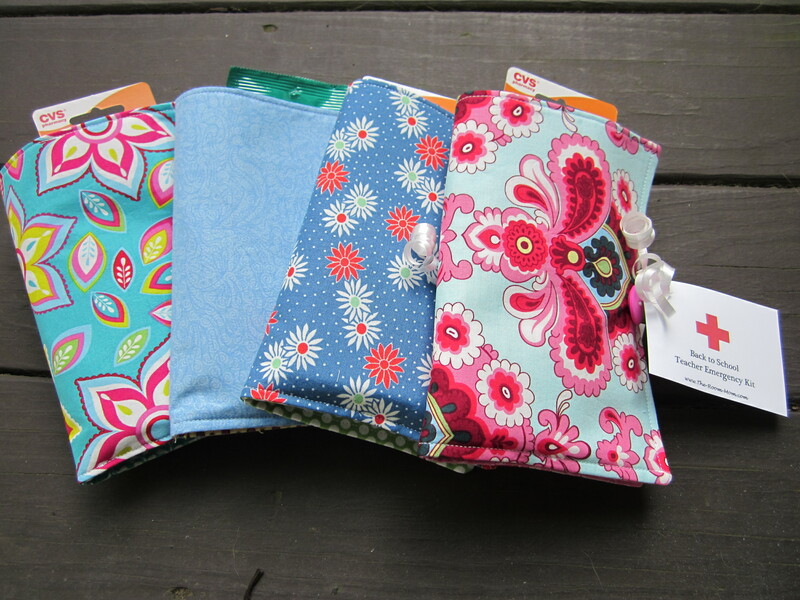 If you are a normal person and don’t have the obsessive need to sew massive amounts of cute little cloth wallets, use a bead box like I did in 2012 (CLICK HERE). 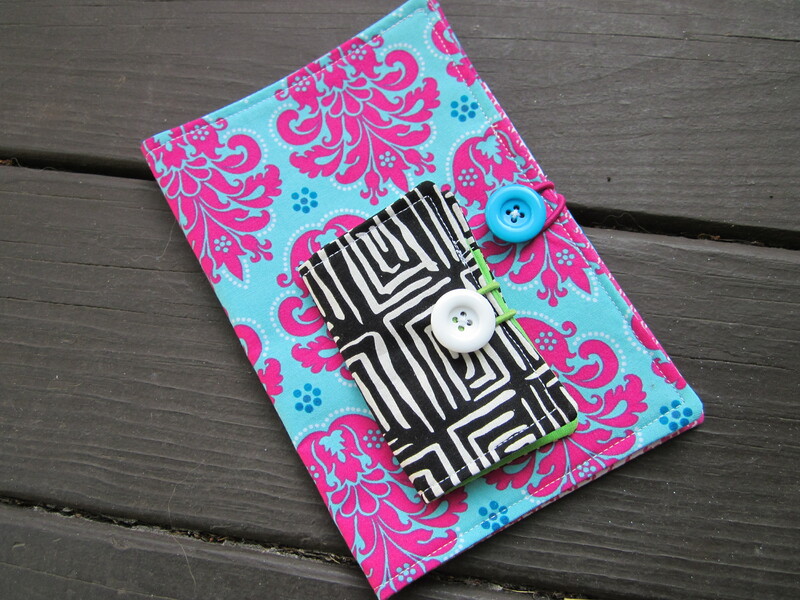 If you do like sewing but want a super fast sewing project, make the potholder clutch like the one I made in 2013 (CLICK HERE). Forehead temperature reader: This is a new addition to the emergency kit. Students love to leave the classroom and take a walk. One way for a student to get out of the classroom is to tell the teacher that he/she does not feel well, so the teacher will send that child to the office for a temperature check. Not anymore. With the forehead temp reader, a teacher can quickly see if a child is in fact a little warm, and the student’s plan to sneak out of the room is foiled. The temp reader is not totally accurate, but it is a good gauge. I found mine at CVS. Travel size Clorox wipes: Here is another new addition to the kit. I am not a fan of Purell or any of the hand sanitizers. It makes my hands smell and have a funny feel to them. I do like a Clorox wipe. I can quickly clean a surface, desk, spill on a backpack, etc. and then my hands are touching things that are (moderately) clean since I cleaned the item rather than my hands. 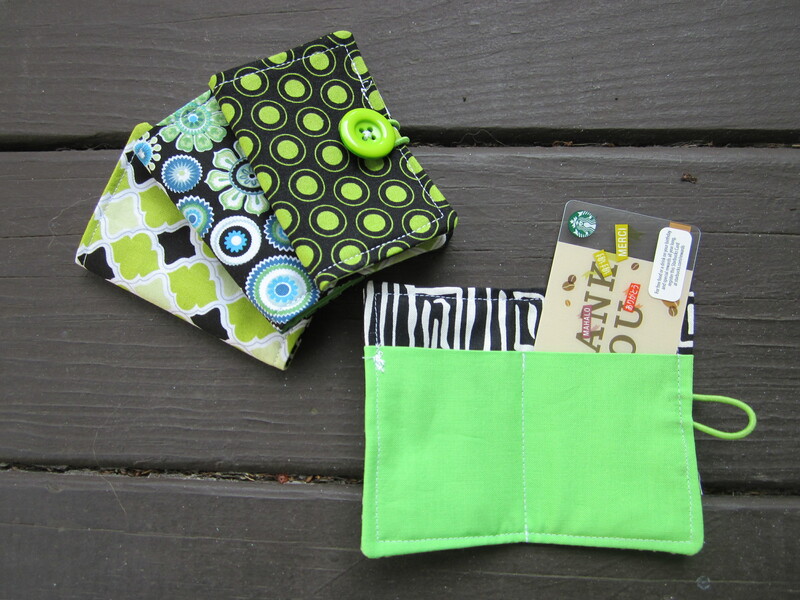 If you are a sewer and grab the pattern from Craftsy, the original pattern size is fun to make too and is the perfect wrapper for a gift card. Here is what the two sizes look like. 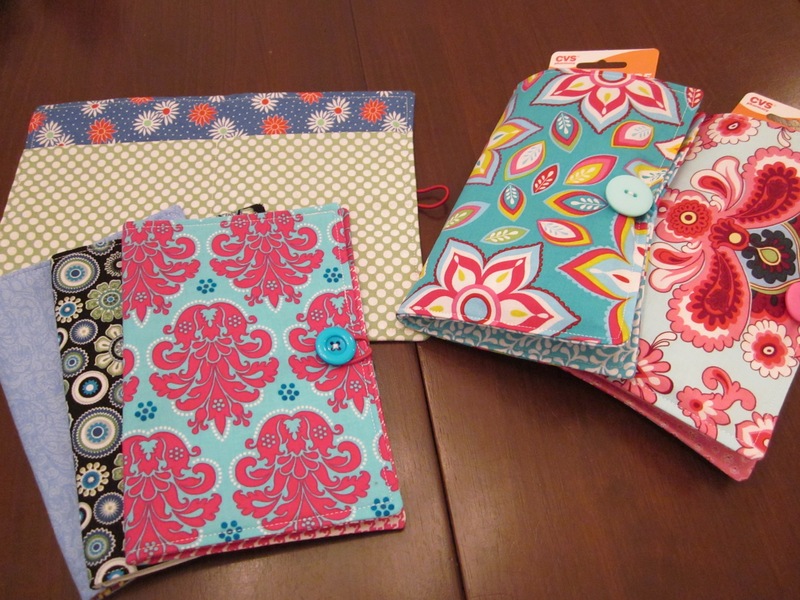 Do you give a back to school gift to your child’s new teacher? What else is a thoughtful sirsee for the beginning of the school year? Great idea.. but you may want to go with individual packets of advil and tums. I know if I received a “baggie” with pills, I wouldn’t use them. People are cautious now a days. Good suggestion– thank you. I teach at the school my children attend, so I know the teachers personally who receive these little kits. I should be more safety conscience, though. Very good idea! I will also be creative and do one as well. Awesome!